What’s old is new again. 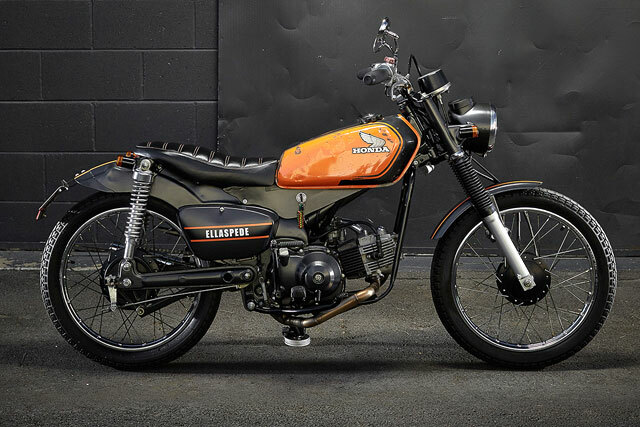 In Australia and New Zealand, the common Honda CT110 ‘Postie’ bike is a familiar sight and sound. Used in both countries by the local postal services, they’ve been buzzing along footpaths and dropping off mail for the best part of 30 years. In Australia, second-hand examples of the common Postie are a popular option for a cheap runabout, given their robust nature and ease of riding. A birthday gift to owner Sal, this particular 2003 Honda CT110 was enjoying farm life after its retirement from daily post delivery. $800 later and it was heading back to the Ellaspede shop in Brisbane for a new lease on custom life. For decades the world has been told some very silly myths about Australia, everyone rides a Kangaroo to work and there is a blood thirsty, sharped clawed Drop Bear in every tree that takes the appearance of a placid Koala. But what isn’t a myth is the strength of the motorcycle scene in Australia. Luke Doyle’s 1981 Honda XL500 combines two great Aussie loves, the ability to spend fun time on the sand and hit the waves for a surf. 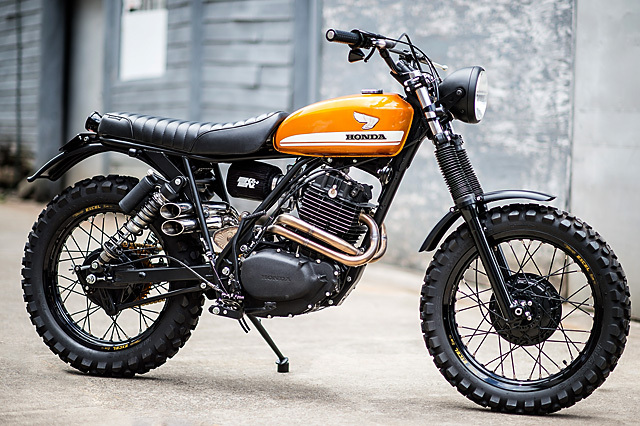 Having owned a number of mint vintage RV-90 & 125 Suzuki Sandbikes in his 20’s Luke teamed up with Brisbane’s BikeBuilders to bring to life his ultimate dune shredding, weekend adventure machine. 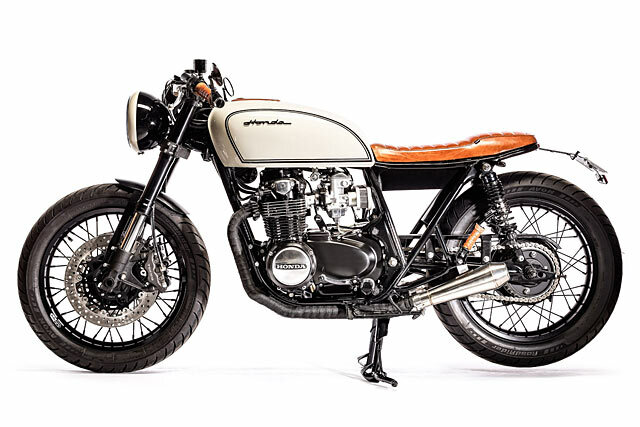 It took two decades, three attempts, and a lot of downtime in between, but when Stephen Bond found Brisbane’s Ellaspede Custom Motorcycles on the net, he knew he had just the builders to complete his brilliant 1977 Honda CB400Four restoration. See, Stephen’s had a love of the Four for a long time. Many years ago, he would buy and sell them for parts to make some extra money. Then, while at Townsville University in 1995, he found this particular example and decided it would be the perfect candidate for a full-on restoration. So naturally he stripped it down to individual components, packaged it up in milk crates and let it sit for 10 long years. Then in 2005, while living in Sydney, it appeared the Honda would finally get the love it deserved. But no sooner had he started when an overseas job offer again put it all hold for 8 more years. 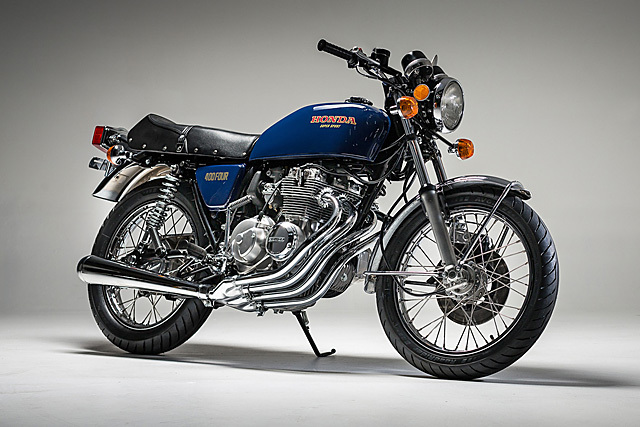 Motorcyclists have a place in their heart forever enamoured with the first bike they loved. It could be an oily Chinese pit bike, a reliable Japanese commuter or a ratty chook* chaser used for chores around a back paddock. But that first bike, no matter how unreliable, common or dangerous, that bike stays with you. For Sheldon, it was the gloriously volatile RD400. 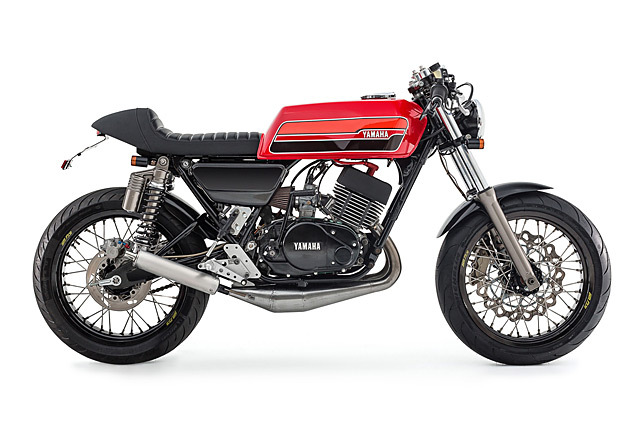 Riding around on the back of his fathers’ RD in the late 70’s gave him an itch that could only be scratched years later with a little help from Brisbane-based workshop Ellaspede.